"favrut curcus NOW !!!!!!!!!" Sanchez, aged 4. This unusual and charming motion picture was filmed in 2004 by Jack Harrison and Tim Mitzman. 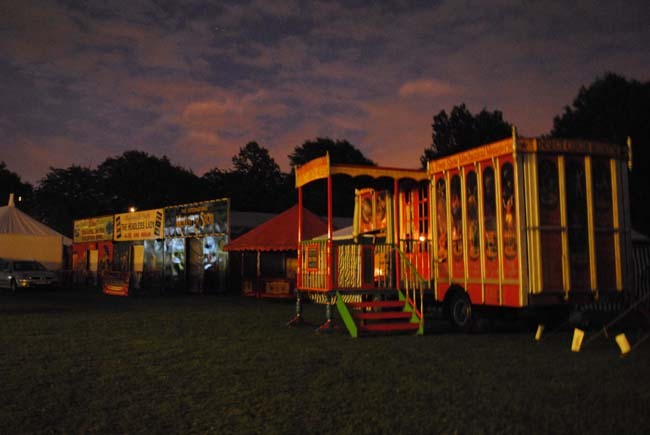 A short film of the Insect Circus Museum at the Gent Feast 2011. "Ladies& Gentlemen! Boys& Girls! Stroll Up! 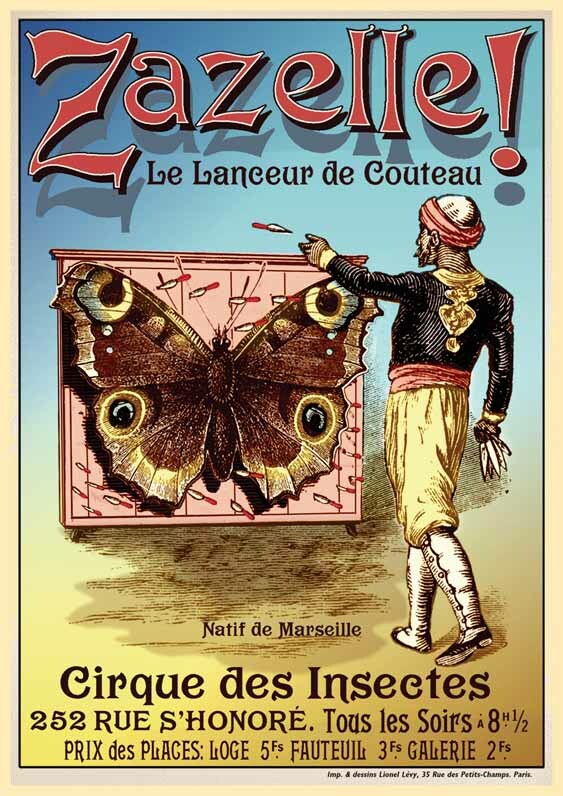 Stroll up for the Magnificent Insect Circus Museum! Behold the Liberty Beetles& the Cheeky Ladybirds! 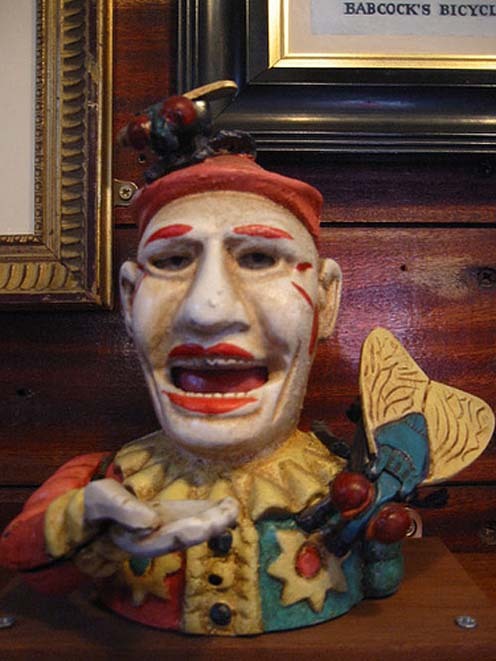 Be thrilled by the Knife Thrower& the Painted Lady! Gasp as Captain Courage, the intrepid Wasp Tamer, defies Danger! Marvel at the Worm Charmer& Laugh at the Dancing Snails!" 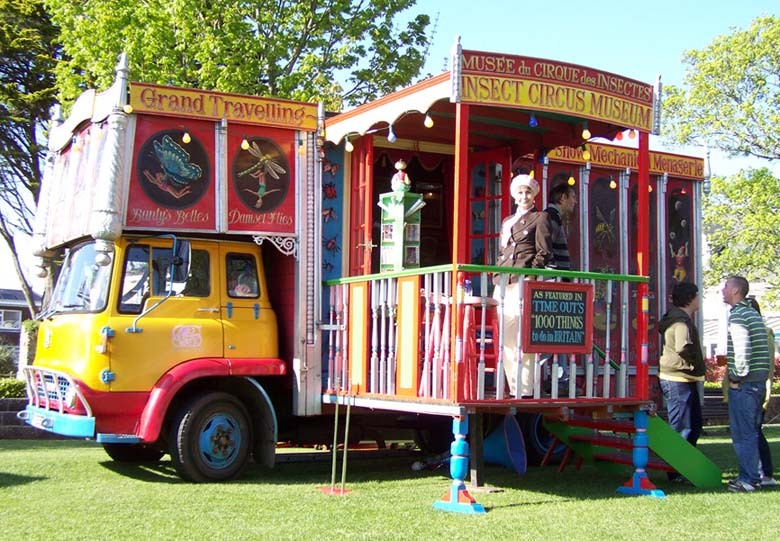 If you are interested in having the Insect Circus Museum and Mechanical Menagerie pay a visit to your town or event, then please do not hesitate to contact the museum administrator, Ronald McPeak, for terms and conditions. 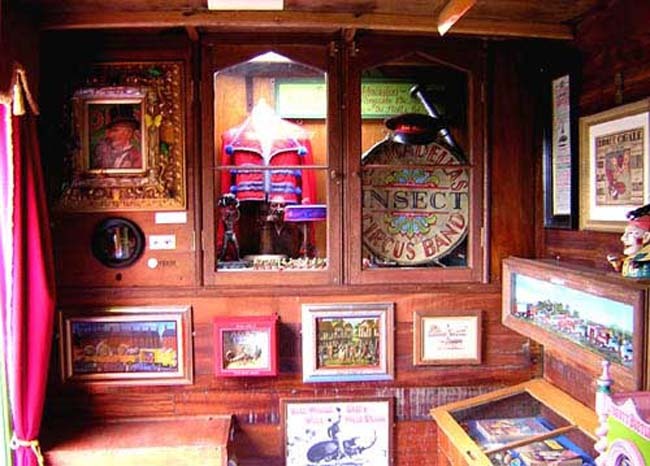 Housed in a vintage, mahogany lined, Bedford TK beetlebox lorry, this unique museum displays a stunning array of costumes, props, puppets, toys and ephemera from the extraordinary collection of the Insect Circus Society. Spanning more than three centuries, and covering many continents, this is undeniably the finest museum of its kind in the world. 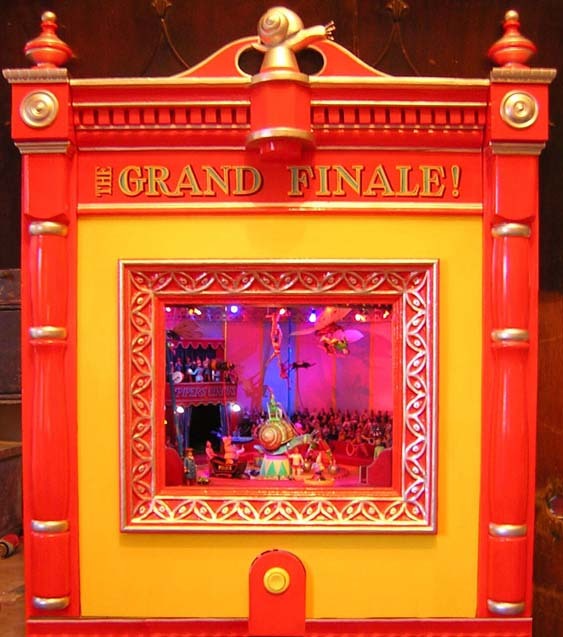 Of special attraction are dioramas and push-button mechanical peep-show models depicting scenes from the famous Piper family insect circus. Featuring such perennial favourites as dancing snails, trained butterflies, wasp tamers and balancing bugs, these stunning automata are a rare treat for all ages. A model of Pipers Menagerie in the early days. c.1890. 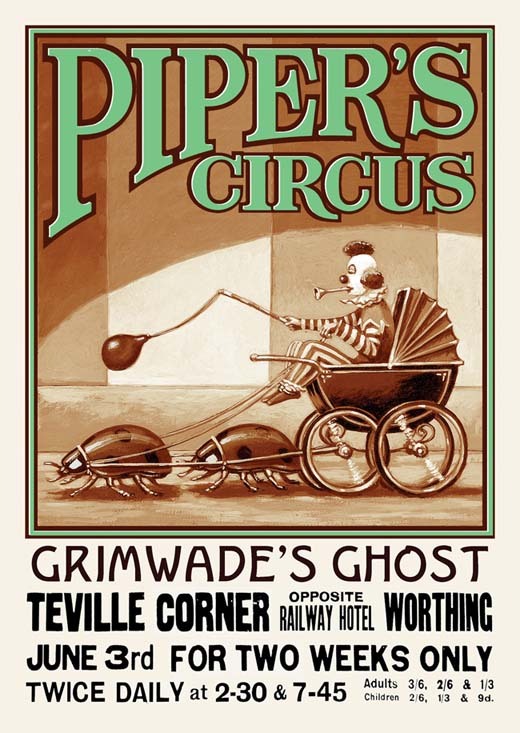 The celebrated auguste Grimwade toured with Piper's Circus in the 19th century. This poster dates from 1937. The Grimwade featured was Grimwade's only son, Grandeville, who took his father's stage name upon his death in 1901. A late 19th century Grimwade moneybox. 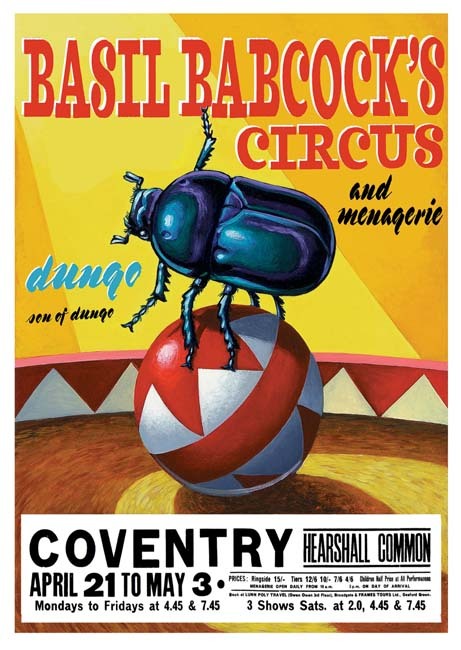 The earliest known piece of ephemera which features the most famous beetle in Insect Circus history - Dungo. Handbill, c.1805. Babcock and Woodruff's Menagerie playbill. c.1840. In 1839, Margaret "Peggy" Babcock joined with James Woodruff's Menagerie to create Victorian Britain's largest travelling menagerie. The illustrious Dungo and his many descendants were prominently featured throughout the menagerie's history. 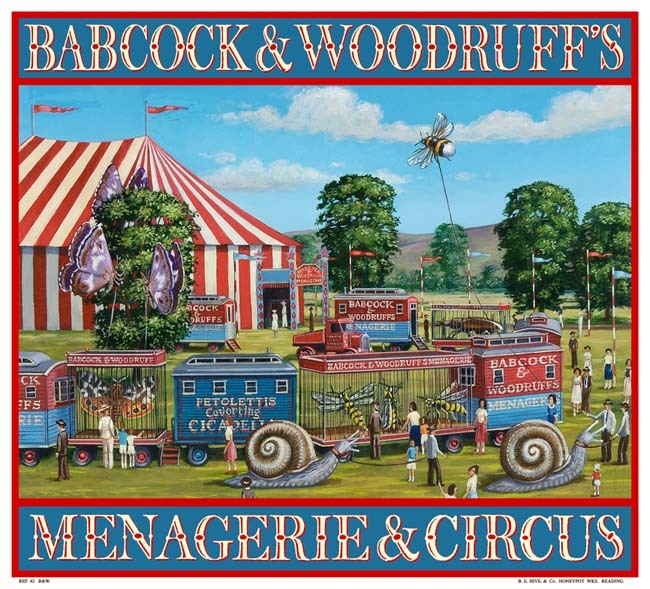 Babcock and Woodruff's Menagerie and Circus. Poster. c.1935. Babcock and Woodruff's toured Britain for over 100 years. With the dramatic break-up of the Babcock and Woodruff families in the early 1950s, the Babcock and Woodruff name was used no more. 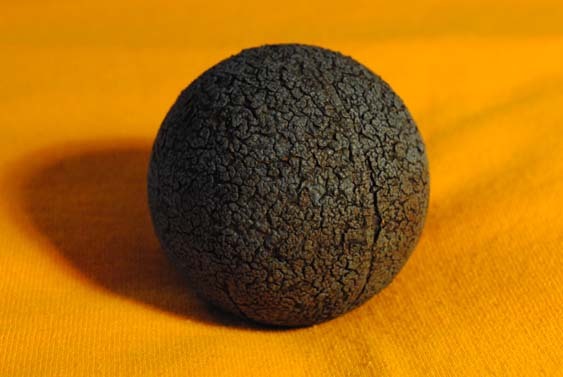 Dungo (son of Dungo)'s favourite ball. c.1947. Basil Babcock and the last of the Dungos. Poster. c.1964. 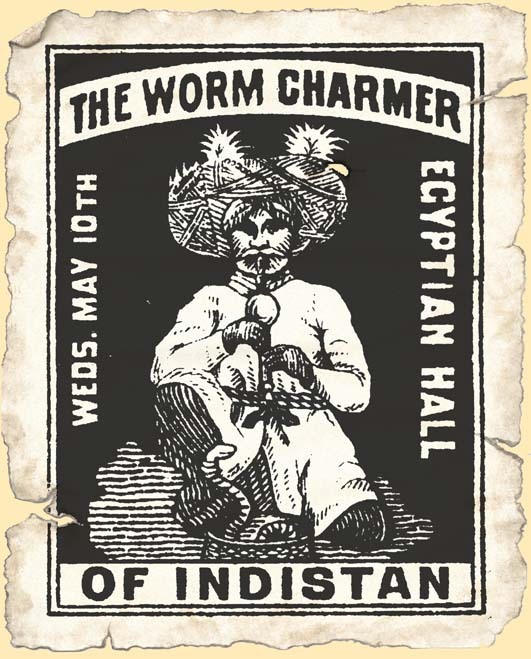 Late 19th century Worm Charmer handbill. 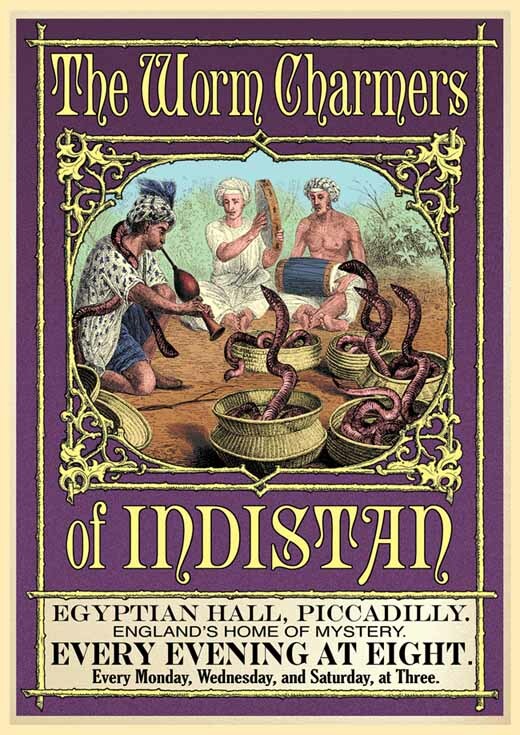 Poster: The Worm Charmers of Indistan. C. 1880. From the late 19th century, worm charming became a popular act on the burgeoning Music-Hall circuit. 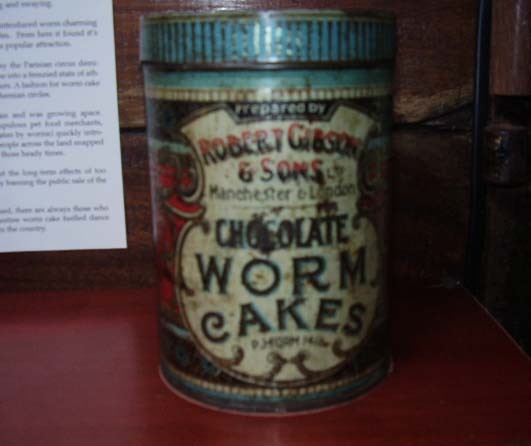 A 1920s worm cake tin. These cakes were exclusively made for the Worm Charming trade. However it was discovered that they had a narcotic effect on humans. Due to their increasing popularity with the young, they were banned in the mid 1960s. Sadly this led to the disappearance of the Worm Charming act from our circuses and halls. Automata depicting Worm Charming at a 1960s 'Happening'. 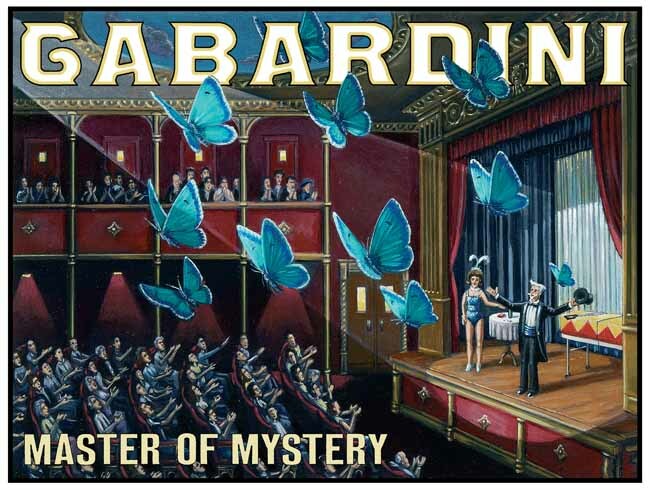 Gabardini Master of Mystery. Poster c.1920. Through the late 19th century, insect acts also became popular on the Music Hall stage. International magician Rudi Gabardini here portrays his famous "Butterfly Out of the Hat" routine. 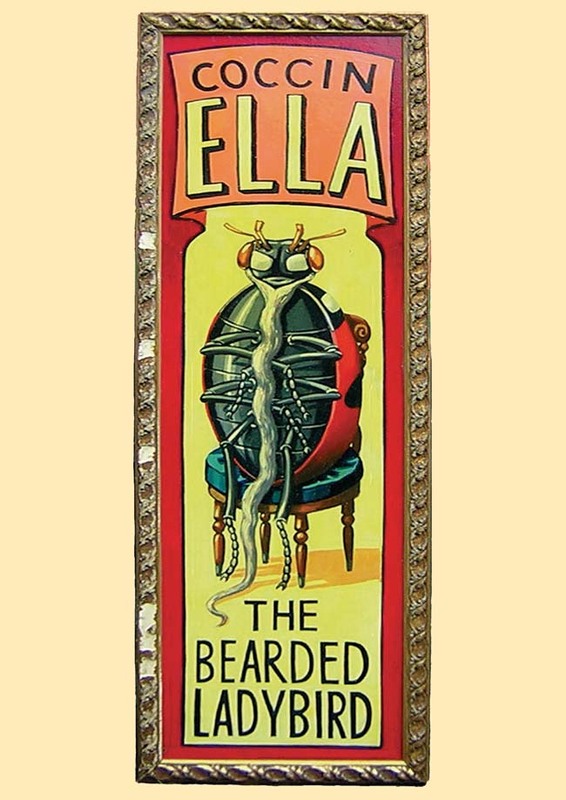 How many travelling insect circus sideshows did not have a bearded Ladybird? Very few. This sign board dates from the mid 20th century. French poster for Zazelle the knife thrower. c.1910. 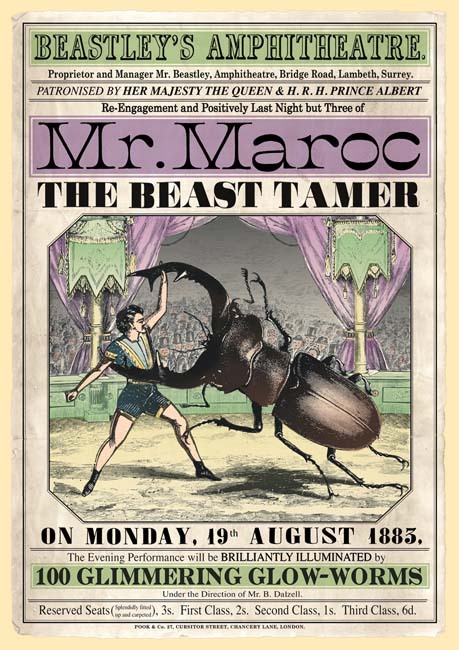 Playbill for Mr. Maroc, the Beast Tamer. London 1885. 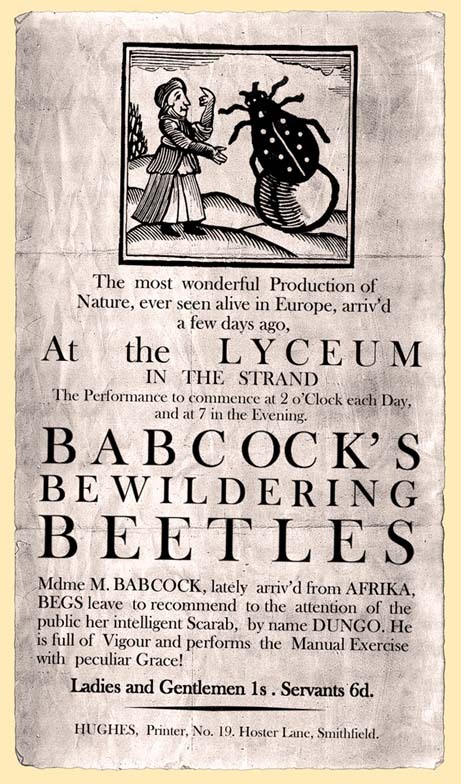 Beastley's Amphitheatre, Lambeth, was London's greatest insect circus establishment. For over eighty years its arena presented the finest acts from around the world. 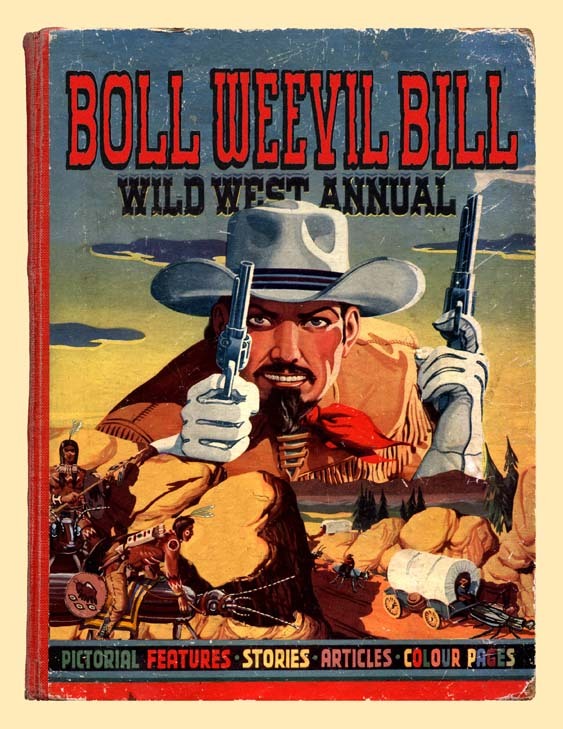 From our collection of books comes this late 1950's Boll Weevil Bill annual. 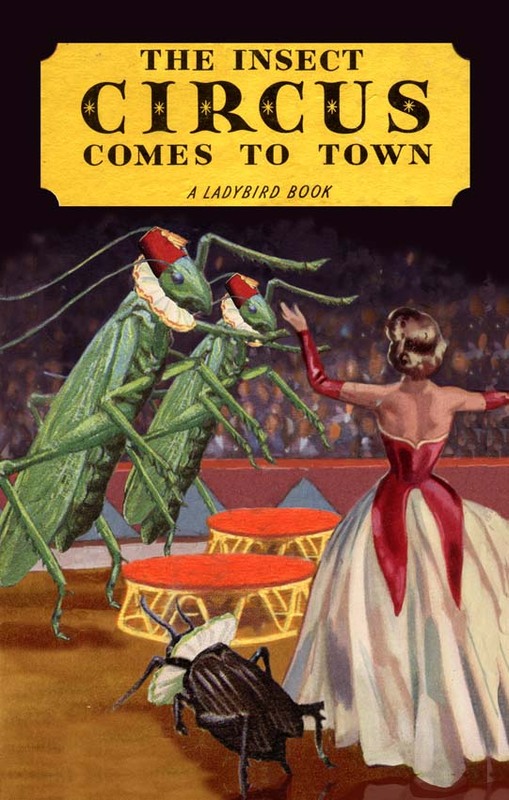 1950s Ladybird book -The Insect Circus Comes to Town. One of the rarest Ladybird books. 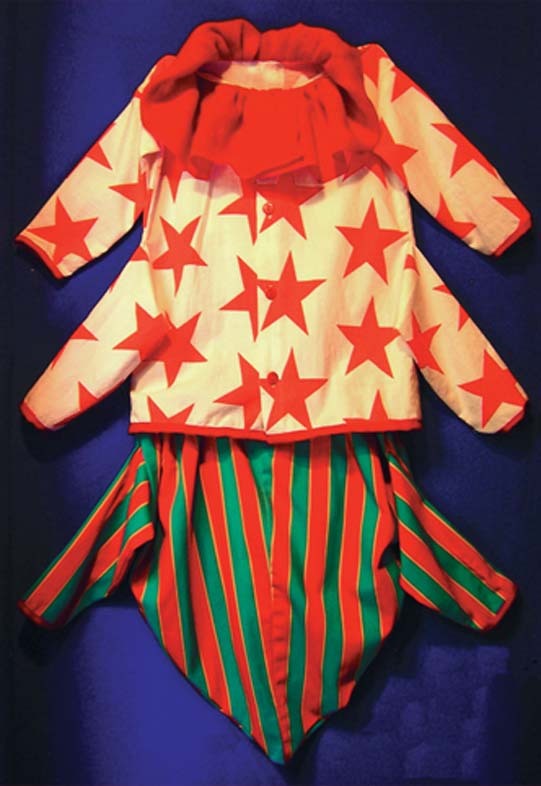 The Museum features several historic costumes. Shown here is an ant costume from the 1970's. 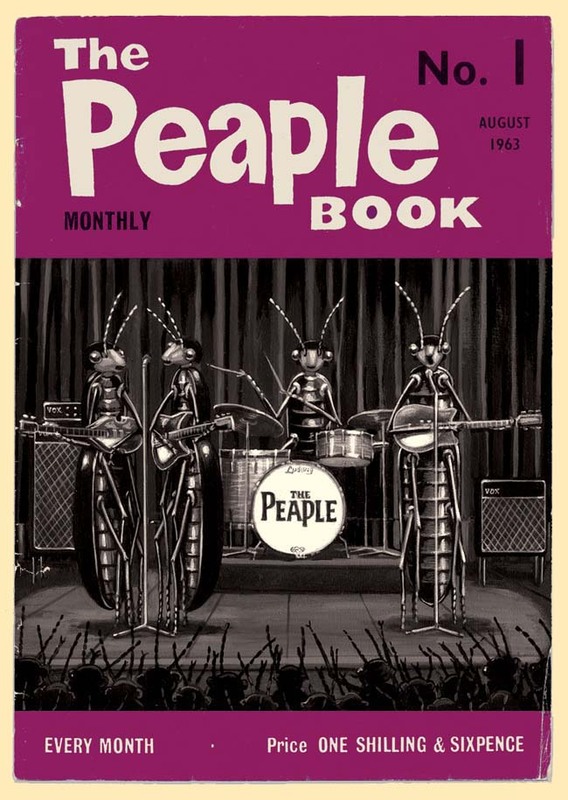 The first issue of the Peaple's fanzine The Peaple Book. 1963. Amongst the many wonders on show, the ICS are also extremely proud to display the very best exhibits from their extensive collection of material relating to the 1960's musical group The Peaple. One of our most valuable holdings takes pride of place within the museum walls: the actual drum as featured on the Peaple's seminal 1967 album,'Capt. 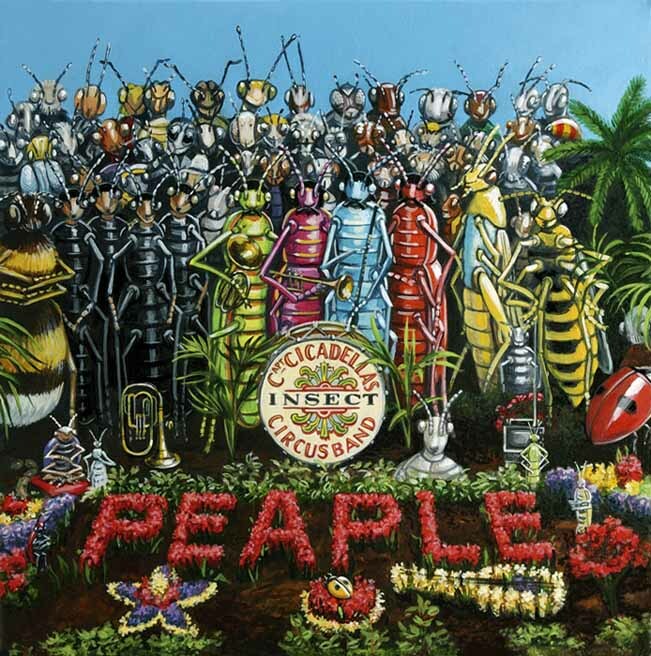 Cicadella's Insect Circus Band'. We also have on display an authentic autograph book containing all of the 'fab four's' signatures and the very notebook in which Don Lemon wrote the words to' Being for the Benefit of Mr. Bugbee'. 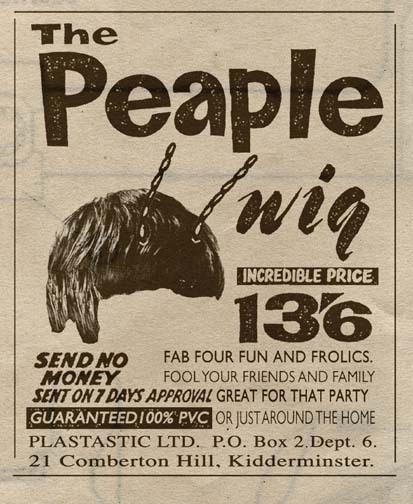 The Peaple Wig newspaper advert. c.1964. Although, by the 1980's, insect circuses were out of fashion in Britain, on the Continent they were still a vibrant entertainment. 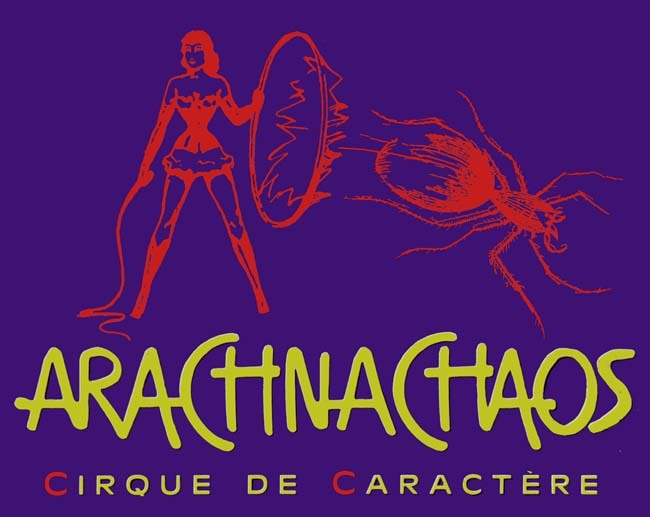 The visit to Britain in 1989 of the daring French company Arachnachaos led to a revival of insect circus interest amongst the denizens of hobohemian. Insect rights lobby poster from the 1940s. 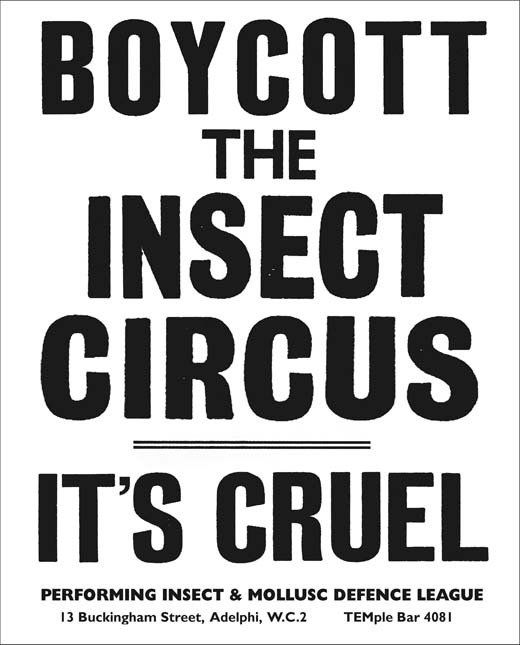 For over seventy years the Insect Circus has been plagued by the Performing Insect and Mollusc Defence League. Let us state here that insect cruelty is not tolerated by us and that we are regularly inspected by the RSPCI. Here in three parts is a longer version of Jack Harrison and Tim Mitzman's film. Beautifully edited by Eiji Iwakawa. Thanks to Eiji and to Mikelangelo for the use of his divine music.